All composition projects will completed using noteflight. Click the button to visit our North Salem noteflight community. We will begin to compose melodies for our solo instruments. The first melodies will be 4-8 bars long). We will work on this project in the Fall and use the melodies for sight reading later in the year. As we continue our study of improvisation we will also compose a blues solo to take the "pressure" off of those who feel nervous about improv. Improvisation projects will be completed at school. You are encouraged to also practice after school or at home. We will use backing tracks for practice. We will begin our study of improvisation with the blues. 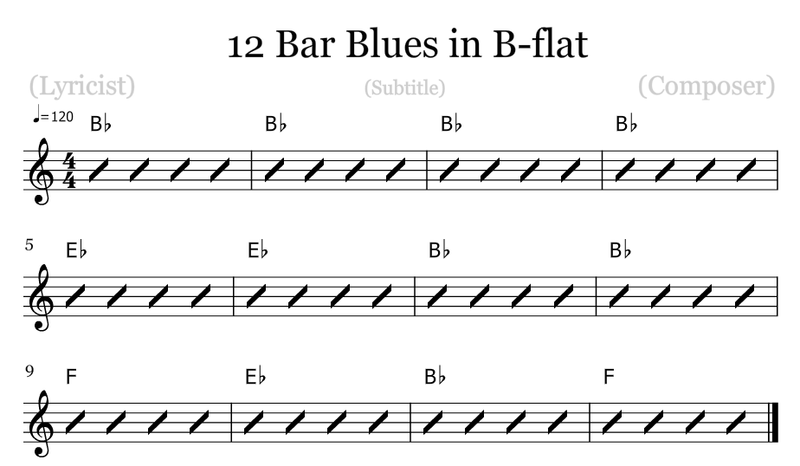 We will start with a simple set of blues chord changes using The I, IV and V chords in the key of Bb.